As a professional in demanding working environment - in or out-of-office, offsite or while on-the-go, a business notebook that is rugged and yet armed with all the necessities and more for all your computing needs is critical. With its professional and features-rich capabilities as well as reliability and durability which exceed the demanding MIL-STD 810G military standard, the ASUSPRO B8430U is the must have notebook for every business professional in demanding working environments, large enterprises IT, government or organizational data management centres. 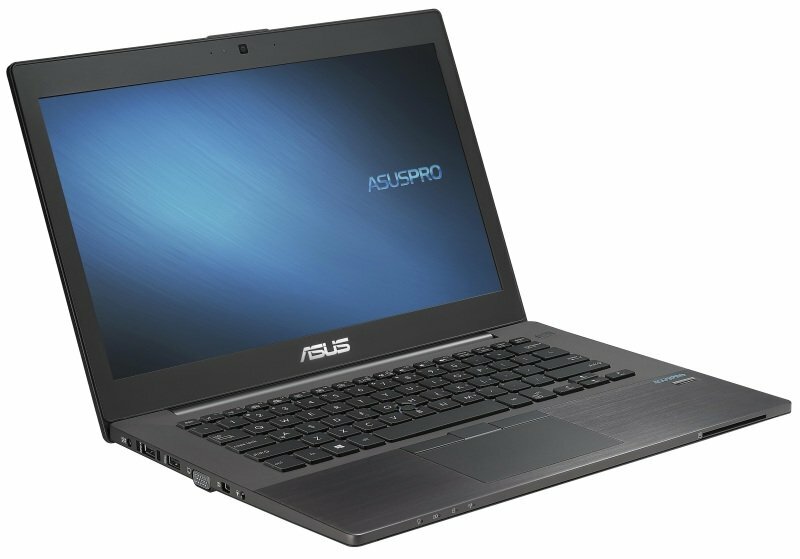 This model of the ASUSPRO B8430U comes installed with an Intel Core i7-6600U 6th Gen CPU and has a 256GB solid state drive. It comes pre installed with Windows 7 Pro and has the option to upgrade to Windows 10 giving you even more versatility. With all this and a 3 Year onsite warranty included, the ASUSPRO B8430U is the full package. ASUSPRO B series notebooks offer increased hard drive protection, with damage-absorbing sponge cushions designed to protect the hard disk against shocks and drops during transportation. Additionally, the hard disk features a complete protection mechanism consisting of G-Sensor hardware and software that actively protects against imminent impacts in order to help keep data safe and secure. This system uses a 3D digital accelerometer with three levels of sensitivity: off, normal, and high. The latter is activated by default, and impact detection remains on at all times. Comfort and pleasant user experience are key especially when you work long hours and often these involve working away from the office or while on travel. That's why the ASUSPRO B8430U is equipped with 14" wide view FHD, anti-glare display to reduce eye fatigue, a HD camera for more efficient conference calls, full-sized and spill-resistance keyboard with back-light illumination as well as the Sense point with enlarged clickpad. Data is vital to your business and that's why the ASUSPRO B8430U contains extensive secure and safe solutions to give you the peace of mind.The ASUSPRO B8430U utilizes metal brackets to strengthen structures around drives with pressure-absorbing "air bag', protecting storage beyond mainstream standards. Motion Sensor Protection Mechanism G-sensor hardware and hard drive protection software also pre-empt imminent impacts as an additional line of defense in keeping data safe and secure. In addition, smart card authentication ensures safe and secure online transactions while the Trusted Platform Module (TPM) provides the protection on a deep hardware level. To ensure even more security, there's an accurate and reliable fingerprint scanner which uses sensors that are less affected by skin surface conditions. We imagine all the things that could possibly happen during work and carry out thousands of rigorous tests to ensure the durability of the ASUSPRO BU8430U. They are strictly quality-tested to much higher industry standards than mainstream notebooks to satisfy the reliability and durability demands of business and institutional users.